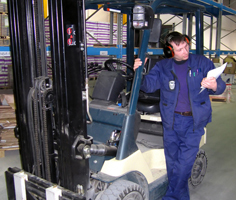 For general noise protection in business, the two primary choices are ear plugs and ear muffs. Ear plugs are the most popular option. They are low cost, effective, and they come in a bewildering array of models to suit virtually anyone. Ear muffs are the second most popular form of hearing protection. Ear muffs are simple to remove and replace many times a day, they are easily shared among staff, and they also come in almost as many different models as ear plugs, from passive ear muffs to electronic 2-way radio communications ear muffs for high noise environments. We understand that noise protection can be a complex issue in many industries. We offer a strong selection of food industry metal detectable ear plugs, with detectable metal beads in each plug and industry-approved blue coloration on the plugs and/or cords. For forestry workers, we have forestry helmets that come complete with hearing protection, eye shielding, and a hard hat all in one powerful and convenient device. Finally, we also provide noise measurement devices to help you monitor your workplace for hazardous noise levels, for enhanced safety and compliance. Metal Detectable Ear Plugs are metal detectable for easy compliance and quick detection. Though they are as comfortable and effective as other ear plugs, these plugs are detectable by most standard metal detectors. Made specifically for use in the food industry. Chainsaw and forestry helmet systems include components that protect the head, face, hearing and eyes. This handy template has different sizes of holes into which the rolled ear plugs can be inserted to provide simple and immediate feedback on whether the ear plug has been properly rolled or not. If the rolled ear plug fits into the hole, it is ready, if not, it needs more rolling.